Jenelle Lynde born in Las Vegas, Nevada and has lived here her whole life. She wanted to work at Lakes Dermatology for many years, but started first with a local optometry chain, our prior office neighbor. When we moved to our new office and needed a great front office coordinator, Jenelle was the perfect fit for our team. She came to work at Lakes Dermatology in early 2017. Jenelle also finished her CNA certification in 2016. 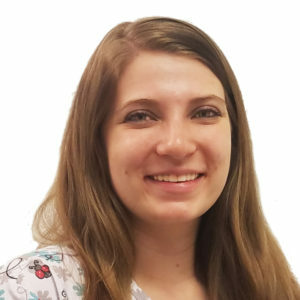 Jenelle is exceptionally well-organized and assists patients and the medical team with schedules, medication and prior authorizations, payments, and constant coordination of the office. She is familiar with all product lines offered by the offices and can assist you with your skincare needs, as well as any questions you have about procedures performed at Lakes Dermatology or those at The Spa.